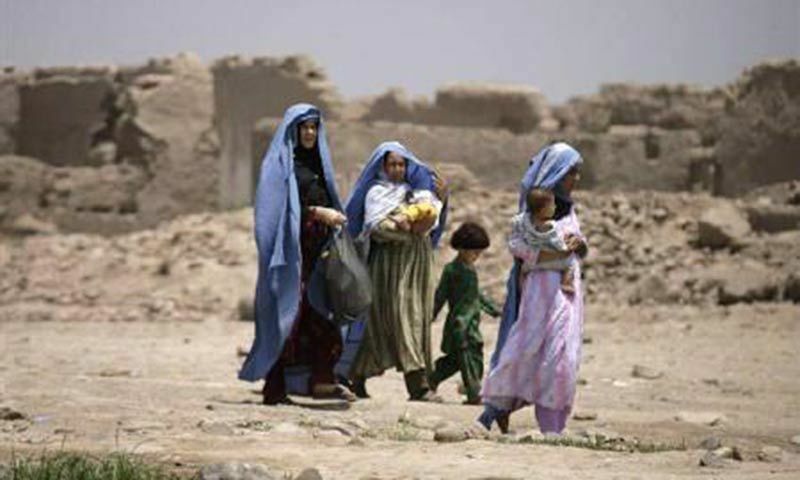 This file photo shows Afghan refugees in a remote area of Khyber Pakhtunkhawa. ISLAMABAD: The United States has donated $1 million to the World Health Organisation (WHO) to address the health and protection needs of older Afghan refugees and host communities in Balochistan and Khyber Pakhtunkhwa (KP). The donation from the US Department of State’s Bureau of Population and Refugees and Migration will fund WHO’s protecting rights of older people with disabilities project, which focuses on people aged 60 or above with disabilities, chronic diseases, psychosocial disorders and trauma and who are survivors of gender-based violence among Afghan refugees and host populations in the country. This is the second time that the US Bureau of Population and Refugees and Migration has funded a WHO project in Pakistan. In 2010, WHO received $4m for the health cluster response to the internally displaced people crisis in KP. The project will be implemented over 12 months and will target 4,771 beneficiaries in six districts. It will also target 240 healthcare providers at public health sector facilities in refugee villages and camps, focusing on training and capacity-building activities to make primary healthcare services age-friendly and disability-sensitive. The project also aims to create an enabling environment through community-based interventions and behavioural change communication campaigns, as well as establishing community-protection committees and self-help groups for older men and women with disabilities to strengthen social reintegration of target populations, refugees and host communities. Furthermore, the project will look into the revitalisation of existing social and community health networks to establish robust referral mechanisms for target populations to multiple services, including healthcare, psychosocial support and protection services. “This generous donation will enable WHO to directly and immediately address the unmet needs of older Afghan refugees in Pakistan,” said Dr Nima Saeed Abid, acting WHO representative in Pakistan. “It is essential to ensuring an integrated, multi-sectoral and comprehensive health and protection package to improve the health, social, and economic well-being of Afghan refugees and their host communities in Pakistan,” he added.